Some people go in tune with the Ferrari Red, like the case of Bolivian beauty Marta Elena Gutierrez. In this occasion we flew to Atlanta for American Petit Le Mans and managed for a photoshoot right in the middle of the race day. At the Ferrari pit and lounge area. It was hot, but perfect. 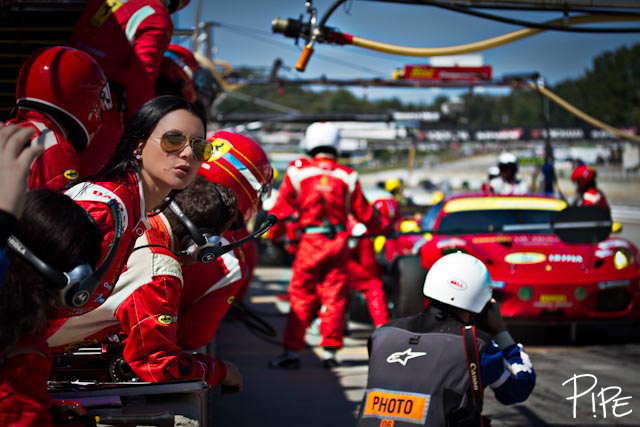 This entry was posted in People and tagged americanlemans, atlanta, beauty, Bolivia, cars, ferrari, hot, model, petitlemans, pitstop, red, sunny. Bookmark the permalink. She is a wonderful woman spectacular and Ferrari. I’d love to know, if you ever come to Spain.